This space is for my rantings on all things music, movies, hifi, headfi and AV. And once in a blue moon, I do reviews on the cars I have purchased. 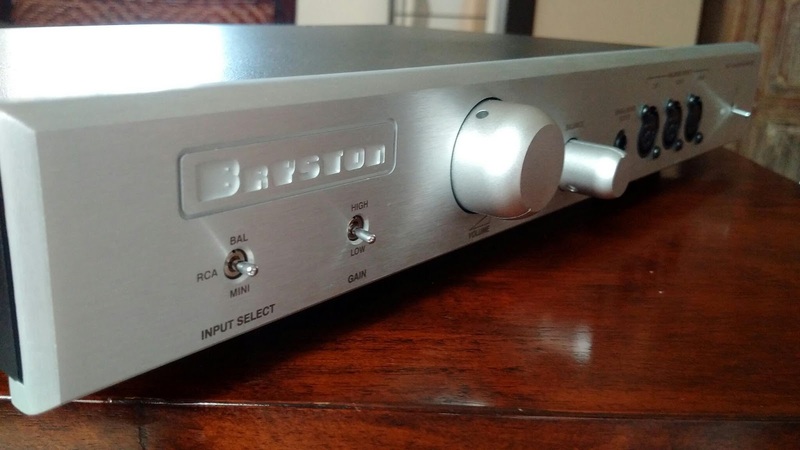 Bryston, a hifi name that I have listened to over and over again and it just continue to impress me. From its bold character amps to its versatile digital sources to its range of 'hi-end sound but affordable' speakers and to the last but not least, headphone amplifier. 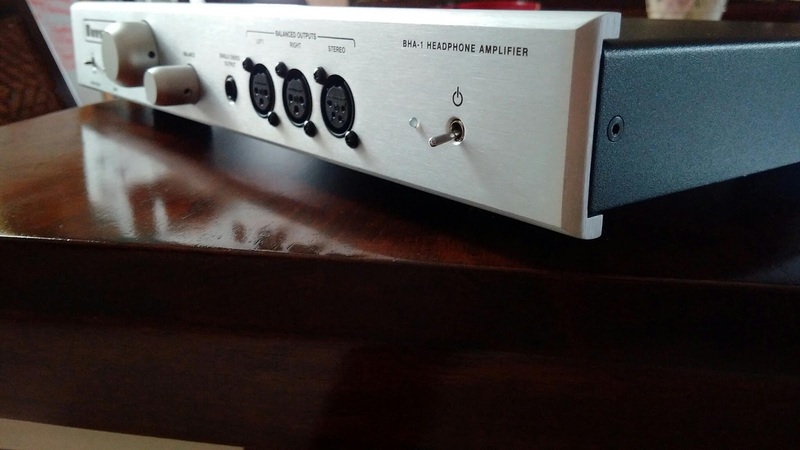 The BHA-1 fully balanced headphone amp have been my resident and reference headphone amp since 2012. I have yet to find another headphone amp in this price bracket that can topple my BHA-1 from my hifi rack, in terms of performance of course. And now, Bryston have introduced an upgrade to this model which strangely to me, the name of the model has not changed. Unfortunately, it is not one of their digital equipment where firmware/software upgrade is an option. So, I was given a fresh out of the box unit to test and review. So, whats new? Its the same sturdy industrial but stylish casing and same model name. This new BHA-1 model now comes with a balanced pre out as shown in the picture below. So, this unit can now also integrate into your existing pre and power set up. The unit is built around six fully discrete Class A operational amplifiers with 14 dB to 20 dB gain and 10k input impedance. It can drive any high impedance headphones with ease. 4. 3 pin balanced Pre Amp output (XLR) - NEW! NOTE: there is also high and low gain switch to match your headphones and also to fine tune the match with your chosen power amp. When it comes to mix and match between a pre/integrated amp and a power amp, my greatest initial concern is compatibility. Will it produce hum? 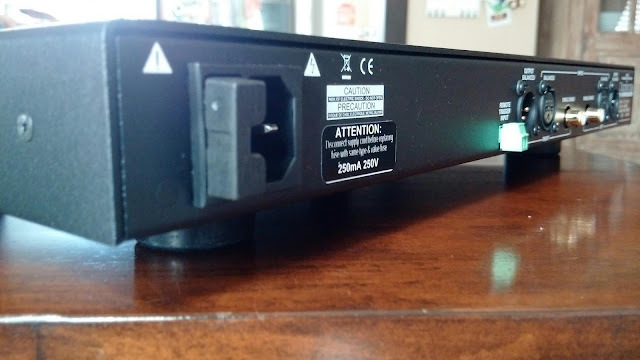 Will it give a hard thud on my speakers when turned on? Will it match my power amp musically particularly with my Class D power amp? I am very happy to report...at least with Musical Fidelity, there was no hums or hiss coming through the speakers when volume pot on BHA-1 is at zero. Also, no thud effect when the BHA-1 is turned on, even though it was turned on after the power amp was on. The balanced input connection to the phono stage also produces a clean sound. However, when the Lenco is on an auto stop mode, it does give a relatively loud thud when the power is cut off and the tonearm levered up. But I pretty like how the BHA-1 picks up every single detail even those mild surface noise. Sound wise, I am very surprised how a Class A pre amp matches quite well with a Class D power amp. It balances out the bright character of my power amp. 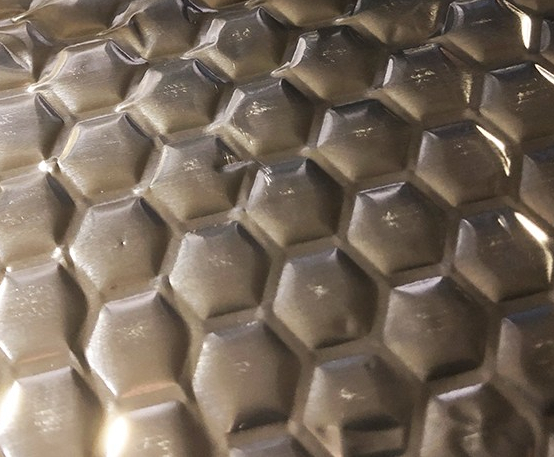 Detail and crispiness of tracks delivered was very evident. It also adds some warmth and balances out the brightness. I also don't really have to drive hard volume wise. The volume knob just need to be set just below 9 o' clock to deliver the same volume level to which I usually listen to. Harry's rendition of It Had To Be You was very pleasant with a big soundstage, delivered by the BHA-1. The BHA-1 provided more clarity to each of the instrument used on the music arrangement. It also improve the focus on Harry's vocal and centralizes it more. Very impressive in a sense as the song was delivered in different layers of presentation. Its like listening in auditorium where the music builds up on you with your ears focusing on the vocals. Hattan's Suara Binasa is a favourite of mine from the 90's. A track from the movie Selubung which its OST I believe have never been released before. I finally managed to get this track from Hattan's last concert to raise money for Palestine. With the BHA-1 , the acoustic guitar strums sounded so detail even the sliding of fingers can be easily heard. The mellow bass line was distinctively delivered that you hear note by note. Now, the prowess vocal of Hattan was not short changed as well. Very energetic and emotional. Prior to BHA-1, this track was more mellow and not hard hitting. Metallica's rendition of Last Caress is quite a fast paced and up tempo tune to me. Always get my adrenaline pumping each time I listen to it. The BHA-1 delivered quite a stunning rawness of the overall music. However, James's vocal was a little too subdued and buried behind the music. This causes the song to lack some essence of metal growling. The music was still full of energy and I must say, the drums on this track was quite punchy and every stroke of the drumstick on the tom toms and snare were very detail and crisp. I tried with another newer track Until It Sleeps. A similar result where the vocals is a little buried behind the scene. It might be how the tracks was recorded but it seems a little be restricted. Ennio's master piece Gabriel's Oboe and Nouvo Cinema Paradiso were absolutely stunning played through the BHA-1. Such emotional and fluid presentation. An uplifting experience with wider soundstage was evident and this was a at a moderate volume of 9 o' clock on the knob. The wind instruments played on these tracks was so melodic that the vibration at the end of each note can be easily heard. The best of what the BHA-1 delivered was the building up musical anticipation throughout each track. It as if was narrating a full story with a beginning, the drama and an ending.... Its not just the music, but BHA-1 injected life into the music. Another gem from Bryston. I really like their philosophy of maintaining one model and upgrade its performance rather than having multiple models. As a pre amp, the BHA-1 really excel in delivering detail and crispiness of wind and string instruments with good layering of musical arrangement. Vocals much depends on the musical genre. It also reproduce a more centralised focus on vocals while presenting a 'big' overall sound and particular to a Class D power amp, it adds some warmth to it. But the level of music detailing is its strongest point. Similar to its performance as a headphone amp. The drawbacks are mainly on the pre amp functionality. Only 3 inputs, no remote and only balanced pre out. For a simple set up with TT, CDP (or DAC) and maybe an iPod/Bluetooth dock, this would be perfect. But for those with nostalgic cassette deck might not be able to include it to the set up list above. I believe this unit will be on active demo in next weekend Kuala Lumpur International AV Show in JW Marriott. Do drop by AV Designs spot there or contact Tony Low (+60122330771) or James Tan (+60163280237) for a demo in their shop in Bangunan Rohas Perkasa. 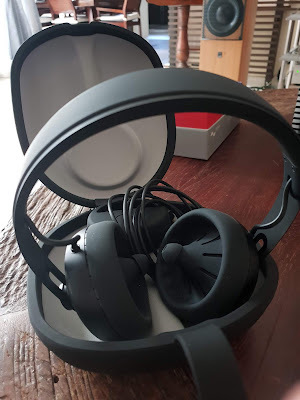 Nura - This Is Not A Headphone or Is It? Bose opens single-brand outlet at 1 Utama - NEWS: There's a new Bose-only store for Petaling Jaya residents. 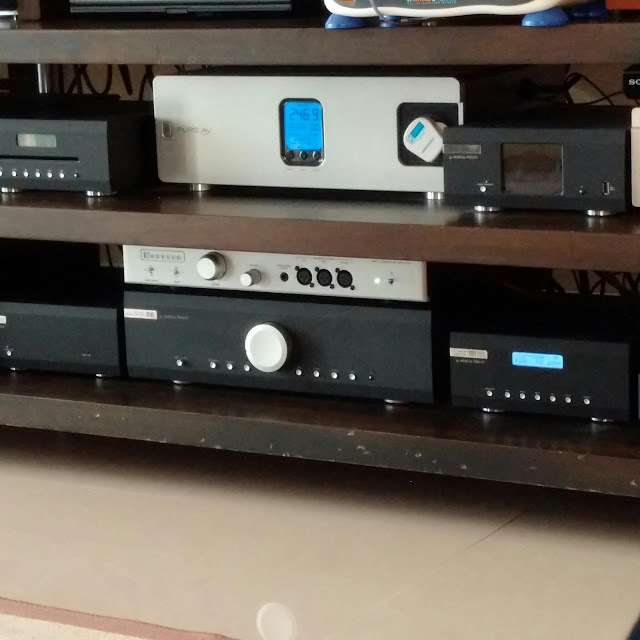 A visit to CMY’s Sungei Wang showroom - By Lam Seng Fatt Those who have been waiting for the... The post A visit to CMY’s Sungei Wang showroom appeared first on av2day.com.